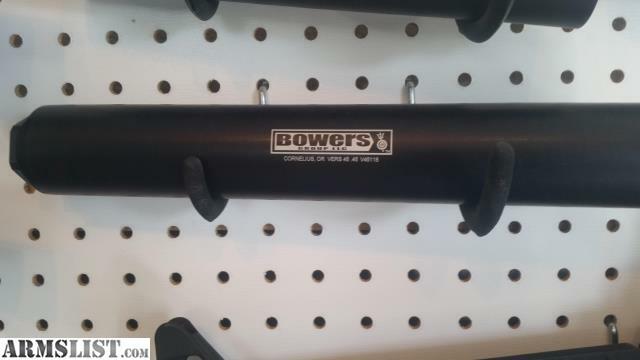 This Bowers Vers 45 is perfect for any .45 caliber or below submachine gun, carbine or rifle firing pistol calibers. Full auto rated with a Bowers Griptastic Silicon cover. The included end plate is threaded 5/8x24 but others are available for virtually every barrel th read out there.